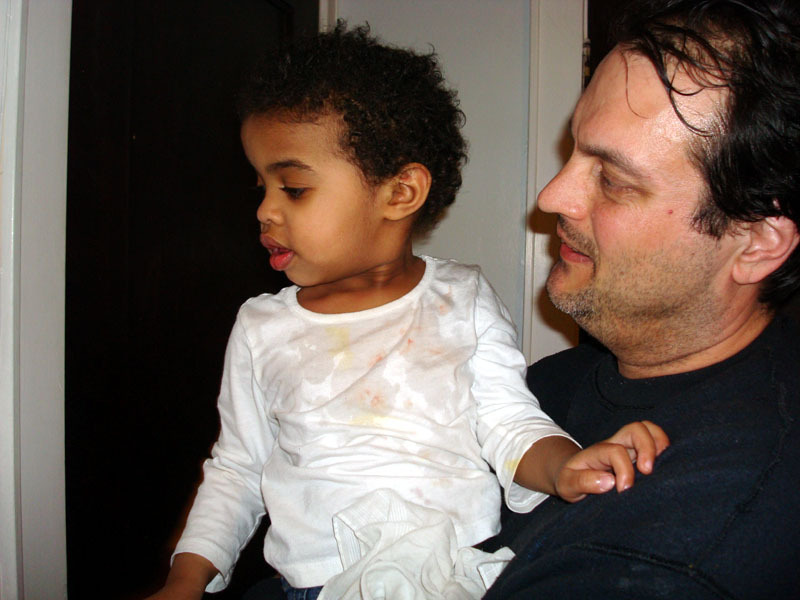 We knew this day was coming – ever since M made her great crib escape on Xmas day, we knew. We freaked out, we jumped online, we found appropriate little girl furniture (white, sweet, not at a price point that requires us to sign a note on the house). We ordered, we congratulated ourselves, and then we realized it would take 8 weeks to ship. 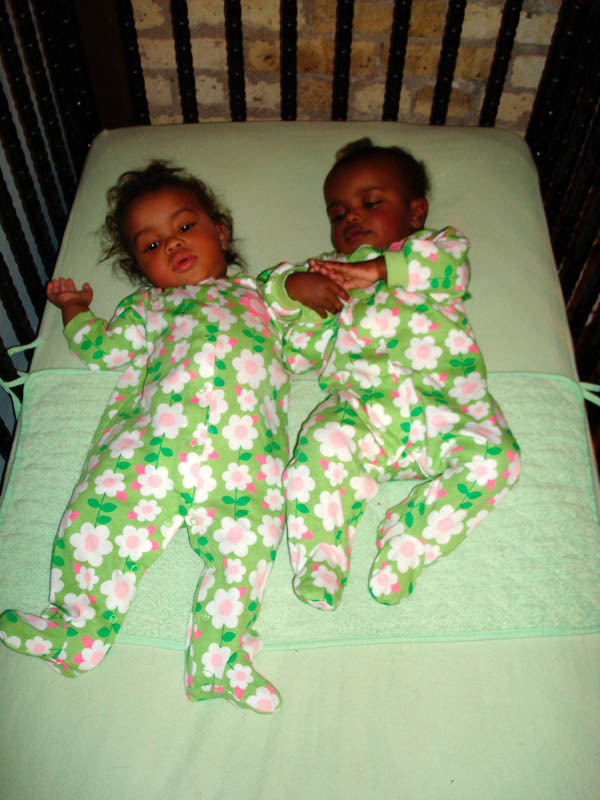 Eight weeks of padding the floor between the two cribs and praying M didn’t make another leap. The new furniture arrived, on the coldest day of the year, stacked in the dining room and ready to be assembled. And we said goodbye to cribs, to the old room, the old colors, the old furniture, the first nursery, and got ready to flip the room to their new, Big Girls’ Room. But first, a comparison. And then, shenanigans. 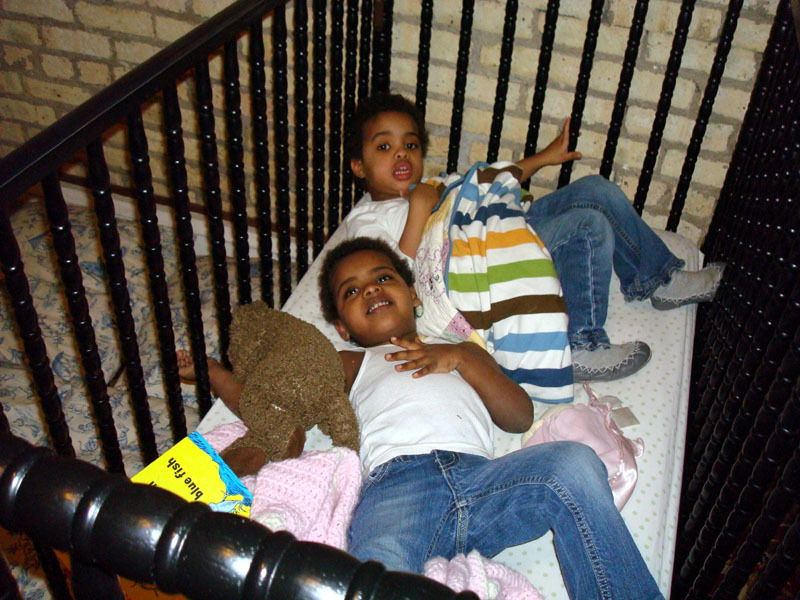 February 2009: Just home, getting used to their ‘big’ cribs. 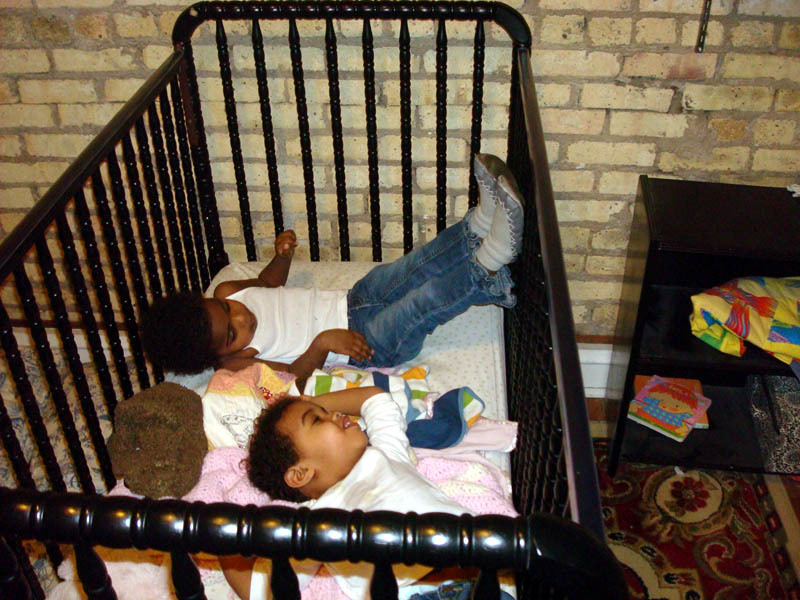 They used to look so tiny in these cribs. February 2011: what a difference two years makes! 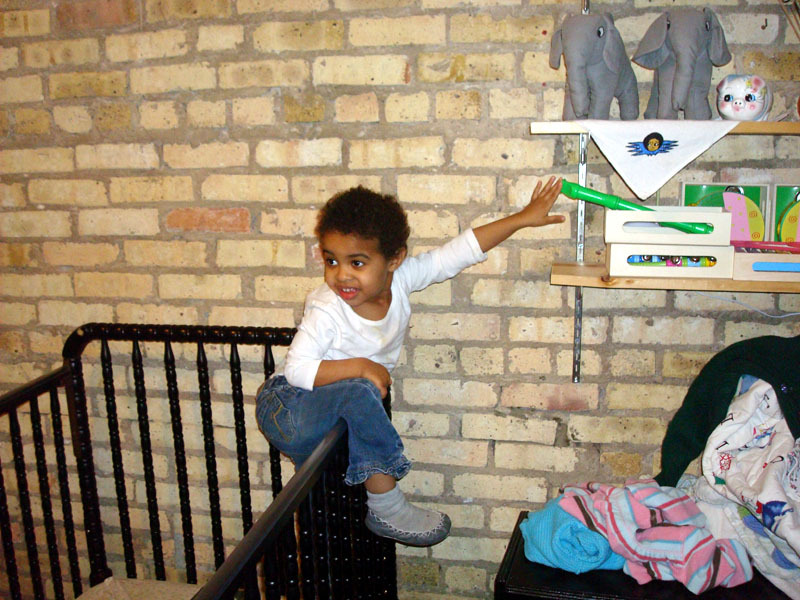 How to know if it is time to transition your kids out of cribs: when they can comfortably step over the railing, unassisted! 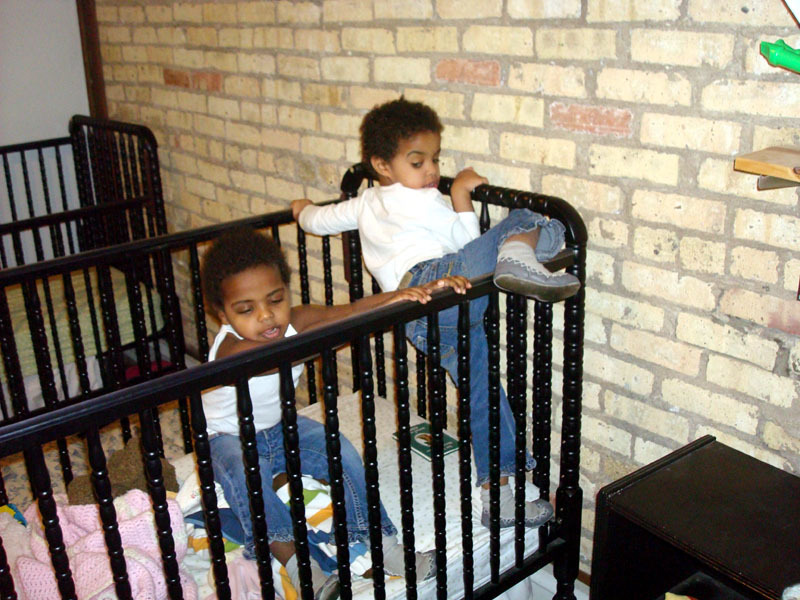 We let them jump around in their cribs for awhile, since they were coming down the next day. There was a lot of flopping! As is always the case with shenanigans, somebody’s hard skull hit somebody’s soft lip, and naturally, if your baby is going to bleed, she WILL be wearing white. It’s a rule. But a hug from Daddy makes it all better. Next up: Big Girl Beds!